Lien has been awarded the Classical:NEXT Fellowship by the National Arts Council of Singapore. This fellowship allows him to attend the Classical:NEXT Conference in Rotterdam, one of the biggest music conference in the industry, and work closely with a mentor to expand his professional network in a meaningful way. Lien has been selected as one of the two participants for a conducting masterclass with Seoul Philharmonic Orchestra and Finnish conductor Osmo Vänskä, currently Music Director of the Minnesota Orchestra. Lien will be conducting the monumental First Symphony of Johannes Brahms, and this is the second time he was invited to work with one of Asia’s top orchestras. Lien joins his alma mater, the Yong Siew Toh Conservatory of Music, National University of Singapore, as Artist Faculty and conductor of OpusNovus, its new music ensemble. Highlights of his first semester include Unsuk Chin’s Gougalon, leading open rehearsals of the symphonies of Beethoven and Brahms with the Conservatory Orchestra and also recording projects of new compositions. Lien won 2nd Prize at the 2nd Antal Doráti International Conducting Competition in Budapest, where he debuted with the MÁV Symphony Orchestra at the Vigadó Concert Hall during the Gala Concert of the competition. He was chosen amongst 380 applicants to the first round of the competition, and the jury and orchestra noted his strong and consistent performance throughout all the subsequent rounds. Lien is named as one of the two conductors on the Peter Eötvös Foundation Mentoring Program 2019, where he will receive coaching from Peter Eötvös and Gregory Vajda, as well as guest professors such as Heinz Holliger, Kaija Saariaho and Hanspeter Kyburz on their music. He will be working with Danubia Orchestra Óbuda and UMZE Ensemble during the mentorship. 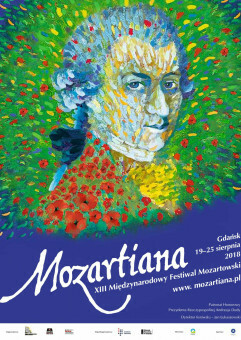 Lien will be leading NOSPR at the Mozartiana International Festival 2018 in Gdańsk on 24 August 2018, featuring Mozart's crowning symphonic jewel, his "Jupiter" Symphony, Tchaikovsky's Rococo Variations and rarely-heard Polish composer Maciej Radziwłł's Divertimento. Lien recently took part in the Dirigentuka Conducting Masterclass in Stavanger, Norway, where he worked with renowned Prof. Mark Stringer from the University of Music Performing Arts, Vienna and the Stavanger Symphony Orchestra, with kind support from the National Arts Council, Singapore. Lien has been invited to participate at the 2nd Antal Doráti International Conducting Competition held in Budapest, Hungary, in November 2018 where he will be working with the MÁV Symphony Orchestra. Lien was named as a finalist to participate at the 1st OFUNAM International Conducting Competition in Mexico City, September 2018. During the competition, he will be working with the Orquesta Filarmónica de la UNAM, the oldest symphonic group in Mexcio City. Lien has been selected to work with the world-renowned City of Birmingham Symphony Orchestra and Prof. Johannes Schlaefli at a conducting masterclass hosted by CBSO in June 2018. Prof. Schlaefli is one of the foremost conducting pedagogues today, and also former teacher to CBSO Music Director Mirga Gražinytė-Tyla. Lien has been invited to work with Maestro Peter Eötvös, one of the leading authority in contemporary music today, at the Stockhausen90 masterclass in Budapest, Hungary. He will be conducting Karlheinz Stockhausen's monumental Punkte and Arnold Schoenberg's groundbreaking Kammersymphonie with the Danubia Orchestra Óbuda. Lien will be returning to the Cabrillo Festival of Contemporary Music this summer as one of six Conducting Fellows, working with Music Director Cristian Măcelaru, Octavio Más-Arocas and Huang Ruo. Lien was previously invited as a Conducting Fellow back in 2014, where he worked with Music Director Laureate Marin Alsop, James Ross and Jennifer Higdon. He will take part in masterclasses as well as premier a new work by one of the Composer Workshop Fellows with the Cabrillo Festival Orchestra. Lien has been appointed Musikalische Assistenz (Assistant Conductor) to the Internationale Richard-Strauss-Orchesterakademie in Garmisch-Partenkirchen, Germany. He will be working with talented student musicians assembled from the conservatories and music academies from Prague, Brno, Krakow, Katowice, Nuremberg and Munich, and preparing the Academy Orchestra for an exciting and challenging program of music by Strauss, Janáček and Szymanowski, with Estonian conductor Anu Tali. Footage of Lien's performance at the 1st Hong Kong International Conducting Competition has been featured on the South China Morning Post's video, "How do you conduct an orchestra?" He is seen conducting a short excerpt from Beethoven's Egmont Overture with the Hong Kong Sinfonietta. Lien advanced to the finals of the 10th Grzegorz Fitelberg International Competition for Conductors in Katowice, Poland, and has been awarded the 2nd distinction as well as the "Young Master of the Baton" award, voted by the students from the Karol Szymanowski State Secondary School of Music in Katowice. Throughout all three rounds of the competition, Lien has conducted the Silesian Philharmonic to great acclaim by the musicians and public (reviews here), and his performances were streamed live on YouTube. Lien has been chosen out of 301 applicants from over 50 countries to compete at the 12th Cadaqués Orchestra International Conducting Competition in Spain, December 2017, where he will be conducting the Orquestra de Cadaqués. Lien will be leading NOSPR in the Inaugurating Concert for the 11th Michał Spisak International Music Competition at the Zagłębie Palace of Culture, together with soloists Aleksander Kobus, laureate of the 10th Spisak Competition, and Anna Górecka, where she will perform her father's, Henryk Mikołaj Górecki, Piano Concerto op. 40. Lien was selected from over 310 applicants as one of the 18 candidates to compete in the 1st Hong Kong International Conducting Competition in January 2018, where he will be conducting the Hong Kong Sinfonietta. Lien has been selected among 250 applicants to participate in the 10th Grzegorz Fitelberg International Competition for Conductors in Katowice, Poland in November 2017, where he will be conducting the Silesian Philharmonic. Following another successful orchestra vote, Lien will be extending his contract to the 2017/18 season as the Assistant Conductor of NOSPR, where he will making his subscription debut and also conducting education and other concerts. He will also be assisting Chief Conductor Alexander Liebreich and other internationally renowned guest conductors such as Krzysztof Penderecki, Leonard Slatkin, Lawrence Foster and Yan Pascal Tortelier. Lien has been selected as one of the five participants for 4th Seoul Philharmonic Conducting Masterclass with Markus Stenz and Thierry Fischer in May and June 2017. He is also the only international participant invited for this masterclass. Lien will be leading NOSPR in the Carnival Concert for the city of Katowice, featuring leading Polish coloratura soprano Katarzyna Dondalska, in famous arias from the operettas and operas of Bernstein, Delibes, Offenbach and Johann Strauss II. Lien is making his debut with The Philharmonic Orchestra, Singapore in the New Year Eve's Countdown Concert 2017, and sharing the concert with TPO Music Director, Lim Yau. Lien has been re-invited to conduct the Rochester Philharmonic Orchestra in two special holiday's concerts featuring the music of Polar Express and Frozen. Lien has been appointed, with the support of the orchestra vote, as the new Assistant Conductor with the Polish National Radio Symphony Orchestra (NOSPR) in Katowice! He will begin his appointment during the 2016/17 and will have his first concert with NOSPR in October 2016. Lien has been shortlisted to audition for the Assistant Conductor position with the Polish National Radio Symphony Orchestra in Katowice in August 2016. Lien was selected to conduct Richard Strauss' epic tone poem Don Juan with the MDR Leipzig Radio Symphony Orchestra, as part of the opening concert for the 57th Weimar Master Classes, held in Weimarhalle. Lien has won the "Audience Prize" at the 12th Aram Khachaturian International Conducting Competition in Yerevan and is also a finalist at the competition! Lien has been invited to participate in the 57th Weimar Master Classes with Nicolás Pasquet where he will have an opportunity to conduct the MDR Leipzig Radio Symphony Orchestra. Lien has been chosen as the Princess Galyani Vadhana (PGVIM) Institute of Music Winner of Call for Conductor 2016 and will be invited to conduct the PGVIM Youth Orchestra on 22nd-26th June 2016 in "PYO Showcase: Winds and Percussion Concert". Lien has been invited to participate in the 12th Aram Khachaturian International Conducting Competition in Yerevan, Armenia in 6-14 June 2016, where he will be conducting the State Youth Orchestra of Armenia. Lien recently conducted three successful "Around the Town" community concerts with the Rochester Philharmonic Orchestra. These concerts featured side-by-side performances with ROC Music, an El Sistema inspired after-school music education program in Rochester that provides tuition-free classical music and instrument instruction to urban youths. The repertoire consists of orchestral dances from countries such as Russia, China, Spain, Czech Republic, Ireland and the United States. Lien was named as one of the ten participants for the prestigious INTERKATION-Conductors Workshop in Berlin, Germany. He will work with and receive feedback from established German conductor Lothar Zagrosek and Das Kritische Orchester, made up of members from leading German orchestras such as the Berliner Philharmoniker, Deutsches Symphonie-Orchester Berlin, and Staatskapelle Berlin. Lien has been appointed as one of the three inaugural Mahler Conducting Fellow with the Colorado MahlerFest XXIX in May 2016. He will be assisting Artistic Director Kenneth Woods throughout the festival and will conduct Mahler's Fourth Symphony in a public masterclass. The goals of the fellowship are "to identify emerging Mahler interpreters of potentially international importance, and to support their artistic and professional growth". Lien made his debut with the Rochester Philharmonic Orchestra in the Pops series concert featuring legendary trumpeter and bandleader Doc Severinsen. Lien has been selected as one of the 6 participants to take part in the Tanglewood Conducting Seminar from July 26 to August 3, where he will be receiving instruction from Stefan Asbury. Lien has been selected as the Winner of The American Prize in Conducting, 2015, in the college/university orchestra division! He had submitted his complete concert recording of Carl Nielsen's Second Symphony, "The Four Temperaments" with the Eastman Philharmonia and Claude Debussy's Prélude à l'après-midi d'un faune with the Eastman Graduate Chamber Orchestra.